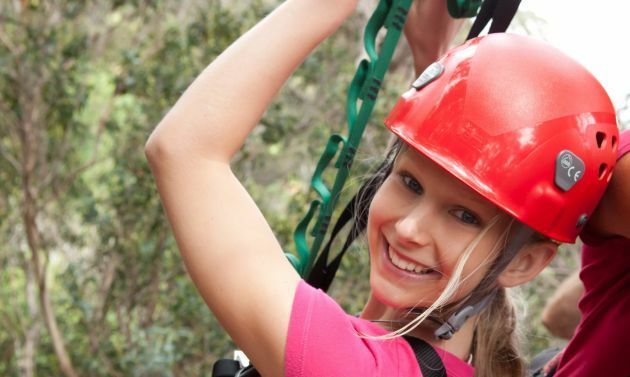 1 Free Child Ticket per Adult Ticket purchased! 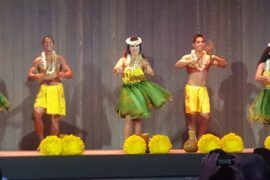 Regular rate: $135.00 per person. 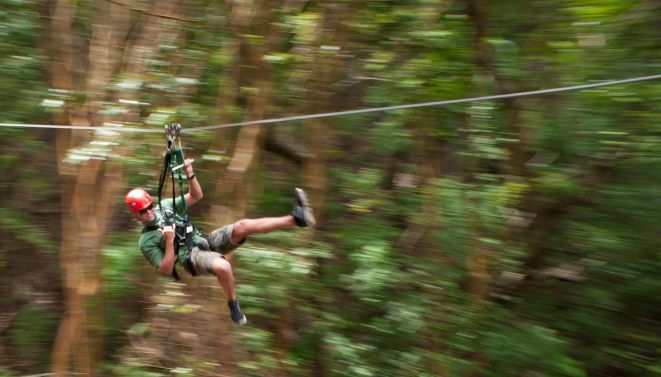 This is an amazing 6 line canopy zip line adventure! Upcountry Maui is so beautiful and a little cooler too. 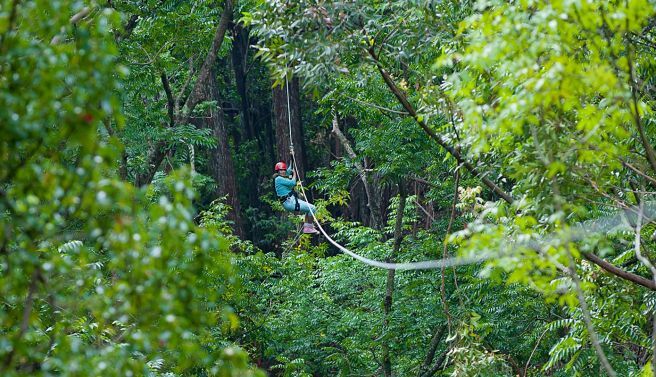 Your take offs will be from treetop platforms in the lush jungle-like settings along Pi’iholo Road. 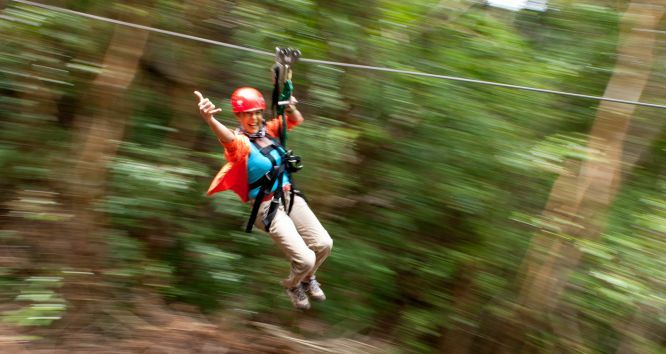 You will be zipping between lush trees with dynamic views of Mt Haleakala and all the beautiful ranch lands. 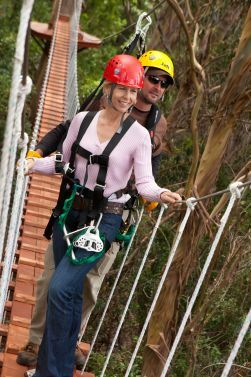 To access these ziplines, you will be climbing ladders, walking across swinging bridges or zipping from other platforms. 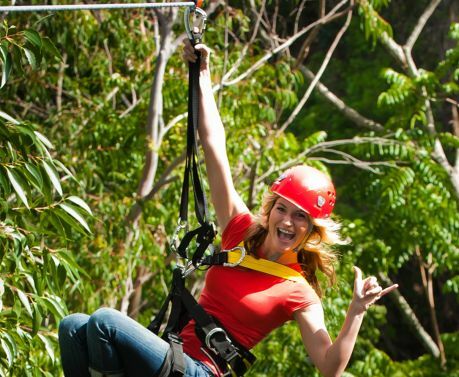 This is a fun 3-hour Maui Canopy Zipline excursion. 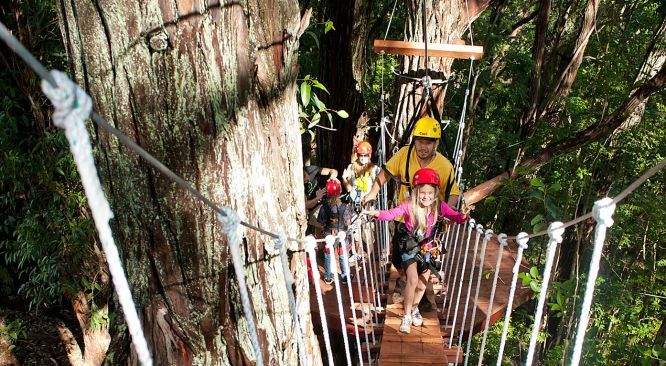 Zip through the tropical forest, and learn about Maui’s unique ecosystem. 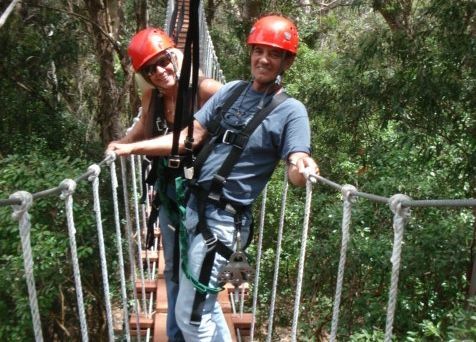 You will also stop at the tree house for light snacks and refreshments. 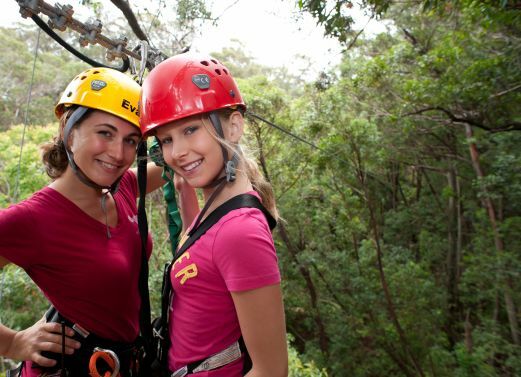 Canopy zip-lining is a perfect way to enjoy a family eco tour and view the beauty of upcountry Maui. Weight and age restrictions apply. Must be 8+ years old and weigh between 50 and 250 lbs. 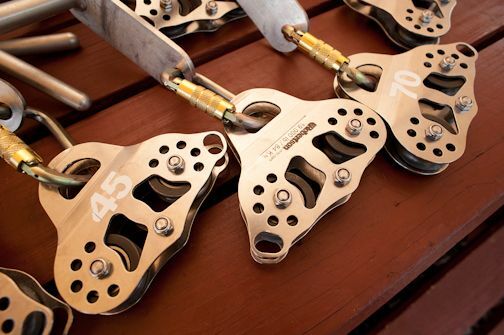 Close-toed shoes are required, like tennis shoes. $135.00 + Tax Per Person } Current Special: One Free Child 8-12 years old per Adult Ticket purchased. 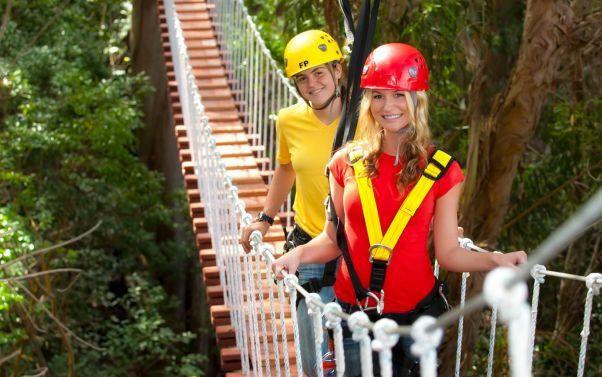 All zipline riders must be at least 8 years old, weigh between 50 – 250 pounds, and be in good physical condition. 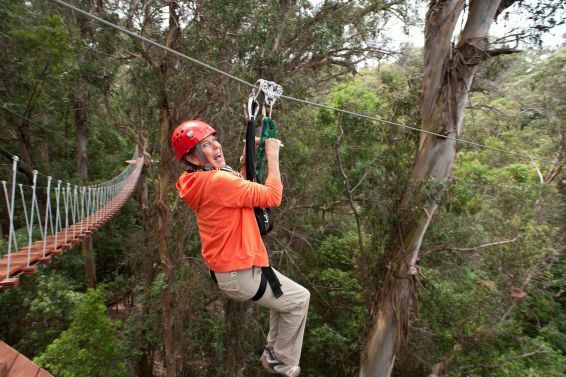 All tours are suitable for experienced and first-time zipline riders. Cancellation requires 48 hours notice, ‘No shows’ will be charged full fare. 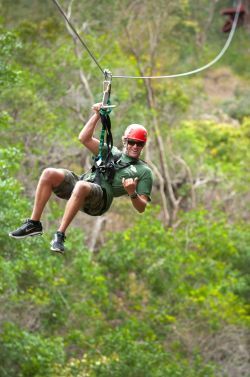 Maui Zipline tours go out rain or shine, however if the weather is extreme, we may cancel or reschedule to suit you.